Was originally called The Central Station (after Leeds Central station), then was called The Wellington, and has now kind of returned to its original name. 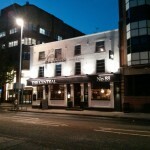 In the local history of real ale, The Central’s claim to fame is as the location where the Leeds CAMRA chapter was founded. With that in mind we were a bit disappointed to see that only one of their casks was on when we stopped by, but we assume that’s anomalous. Normally they offer four Yorkshire ales, including a house pale cleverly named “The Central Pale.” In the fridge are a few standard crafts like Goose Island, Sierra Nevada, Sam Adams and Meantime, plus Budvar, Leffe and Orval. Beers are kept and stored properly, and are sold at an average price. It’s decked out in kind of modern pub decor, what we would describe as “Yorkshire Chic.” (Yes we’ve made that term up, but perhaps it will catch on.) There are photographs and maps of Leeds on the walls, and all the fittings are classy and comfortable. 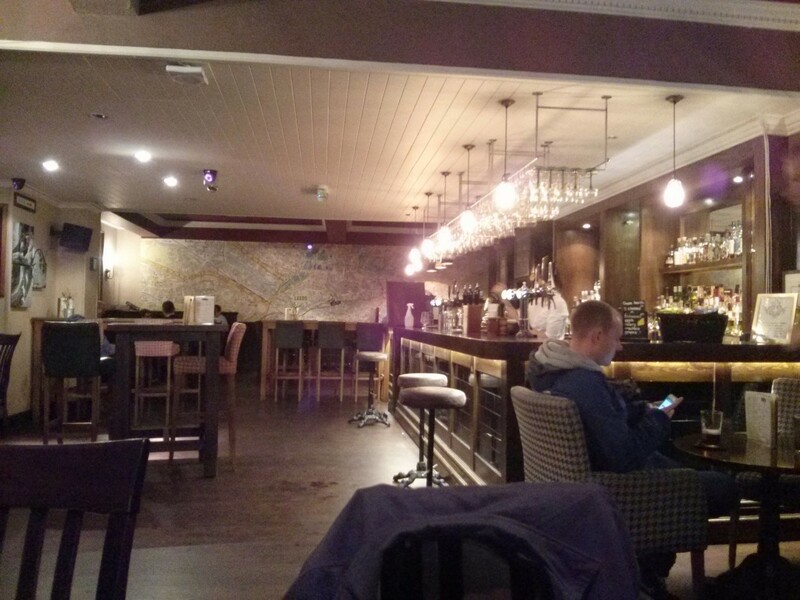 There’s a standard pub menu, along with some bar snacks and coffee and tea. Much like Toast or Lazy Lounge, The Central is one of those places that would be in the running for being our Local, if only it were more interesting. It’s a stone’s throw from where we live and has a handful of decent beers. At this point in the quest, though, The Central suffers a bit from being toward the end than the beginning. Our expectations of beer selection and atmosphere are a lot higher than when we first started, because there are just so many inviting places that have an outstanding range of beers. Thus, appropriately enough, The Central ranks about centrally in our charts. It’s not the best or worst, but our discerning tastes will always lead us elsewhere. 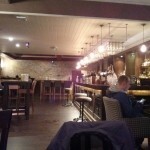 Note: We believe this pub is no longer owned by Lewis Cuddy, so if you’re boycotting his establishments, this one’s OK! This place is boarded up at the moment. Not sure whether its refurbishment or closure. Thanks for the heads-up. It definitely looks like it’s gone for good. Thanks for letting us know. We’ll take a look! It’s now called The Phoenix. Yes, indeed! 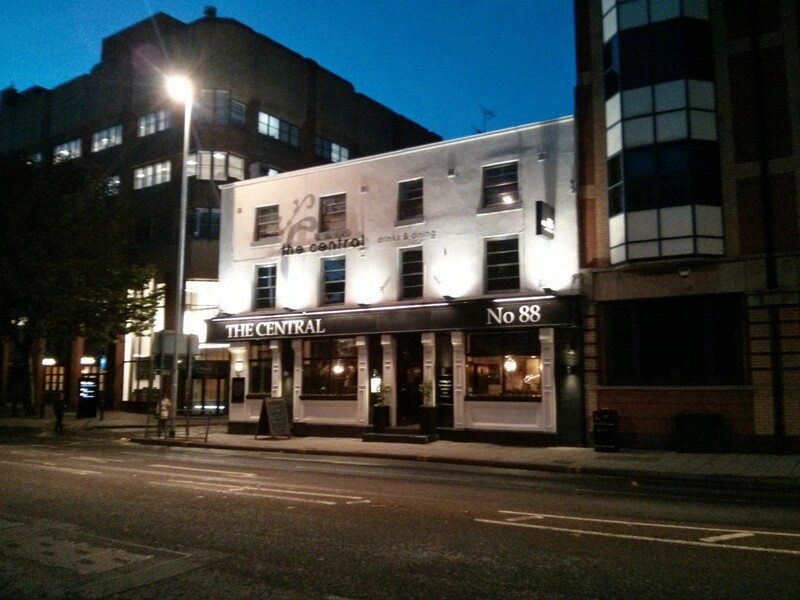 As we’ve discovered it’s actually a new bar with a new owner, so we will mark The Central as closed. A new review for The Phoenix will be coming soon!